The story of Halo is no fairy tale set in a Castle that needs protection from a marauding dragon. It is, however, a monster of a tale spanning the length of the universe from Earth to places with strange names like Onyx. Many fans might know Halo only through the Xbox games, others may have expanded their knowledge from reading the books, graphic novels and the Halo Encyclopedia. Halo Waypoint has handily put together a brief history of Halo for anyone who might just be a little curious about what’s actually going on as sometimes even in the games it’s not clear! Long before humanity shed its own earthly shackles, an ancient race known as the Forerunners had already mastered control of the heavens. Using their technology they took it upon themselves to protect all life in the galaxy. But when a dark threat emerged from the blackness beyond the galaxy’s stars, the Forerunners surprisingly were caught off guard. The Flood, a parasitic alien species that propagates itself by infecting sentient beings, had already infested a variety of worlds within the Milky Way galaxy. By the time the Forerunners took action against the Flood, it was too late; the Flood had already surpassed any efforts at containment offered. Fearing all in the galaxy would be lost forever to the Flood, a group of Forerunners developed a plan to stop the parasite once and for all. They called this plan Halo. Using a massive installation known as the Ark, they built seven ring worlds, which they spread throughout the galaxy as a defensive mechanism. This Halo Array, as they called it, when fired, would destroy all sentient beings within range, effectively starving the Flood to death as there would be nothing left for it to use to spread. Then, after staying the hand of judgment as long as they could, the Forerunners finally fired the rings and seemingly vanished from existence to never be heard of again. The knowledge surrounding the Halo Array and its use and as well as the Ark was lost for a time. All that remained was the hope that someone, somewhere in the distant future, would discover the truth. One hundred thousand years later, humankind finally turned its eyes to the stars. But even after developing the technology of Slipspace travel, which allowed them to colonize distant worlds, they failed to learn from their own primitive nature, they went too far, too quick. Not long after humans built other worlds to inhabit, they began to war with each other. A powerful governing body known as the United Nations Space Command (UNSC) attempted to quell any insurrectionist factions, but there seemed to be nothing that could halt the mounting tide of violence between mankind. It was then that an agency known as the Office of Naval Intelligence (ONI) commissioned the SPARTAN-II project. This extreme measure sanctioned the abduction of young children who would be genetically engineered into the most advanced supersoldiers humanity had ever seen. And for a time, this solution worked flawlessly, the Spartans meted out swift, almost merciless, judgment against any who resisted the orders of United Nations Space Command. But in 2525 CE, all of that changed. Without warning, the Outer Colony of Harvest was obliterated by an unknown force, a force that would later reveal itself as the Covenant. This alliance of alien species believed humanity was a stain that needed to be wiped from the galaxy, and they committed themselves to this belief without any mercy and proved ruthless in doing so. Extinguishing every human population they could find, the Covenant were consumed with humankind's total and complete annihilation. However, despite being greatly outnumbered, the Spartans engaged the alien enemy in groundside conflicts, frustrating the Covenant’s advancement every step of the way. 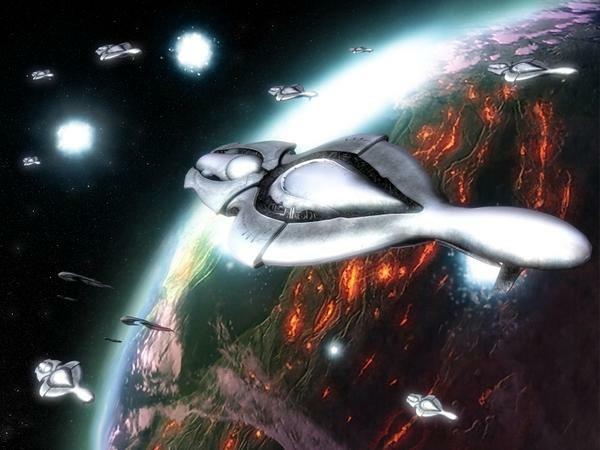 Ultimately, each terrestrial victory proved insignificant, since the Covenant dominated space battles without contest. Still, it wasn't until they attacked the planet of Reach, Earth's veritable doorstep on the brink of humanity’s extinction, that these legendary Spartans fell. Fleeing into Slipspace at a seemingly random vector, a UNSC warship brought with it what was believed to be the last remaining Spartan, the enigmatic Master Chief, John 117. As they arrived in a remote, uncharted region of the galaxy, they suddenly came face to face with something they had never before seen —Halo. This discovery was marred when the Covenant, having realised the installation's supposed worth to them, they attempted to activate the ring to fulfill their specious prophecies, and mistakenly released a strain of the Flood that had been contained within the installation for a hundred thousand years. In response, the Master Chief was motivated to uncover the secrets of the Forerunners' extinction and a deploy stratagem to prevent the parasite from escaping. With the fate of the galaxy hanging in the balance, he destroyed Halo with the help of his AI Cortana, ending the vast threat it possessed and destroying the Flood's infestation along with it. Ignorant (seemingly by choice) to the truth of the Halo Array’s purpose, the Covenant continued their quest and soon located yet another ring. When they failed to fire it, a chain reaction of events occurred that opened a portal on the planet Earth. This portal would lead any who entered to the Forerunners' most precious installation, the Ark, the only place where the Halo rings could now be fired. It was here that humanity formed an unlikely alliance with a faction of Covenant defectors known as Elites, and together they assaulted the Ark. With the last vestige of Covenant forces attempting to activate the Halo Array, the Master Chief raced to the surface of a remote ring world, igniting its fire and obliterating both his adversaries and the Ark in the process. The inspiration for this Halo story time line was Halo Waypoint. The text is mostly from that site, with some edits from myself. The pictures are from the various Halo games, some promo shots, others in game scenes. *Worse joke I ever heard: How do you take your tea? Orally. 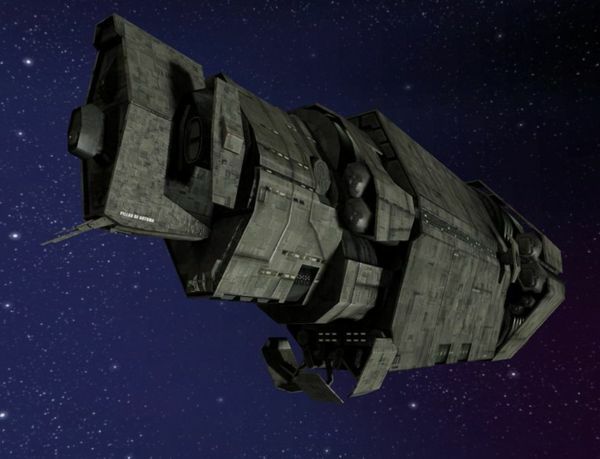 The Long Night of Solace was the Covenant super carrier that destroyed the UNSC Grafton in the Halo Reach game and destroyed several other UNSC deployments. The above Pillar of Autumn was where Halo really first began - as the Master Chief you were woken to fight the Coveant who had found you - so in the context of Reach, the Pillar escapes with Noble 6's help, to which then the Master Chief takes over the protection of Cortana. The Ardent Prayer was used as part of the plan to destroy the Supercarrier, Long Night of Solace. You may not know that Ardent Prayer is the setting of the Halo: Reach multiplayer map Zealot, and the Firefight map Corvette. You can't have an epic space battle between two different races without one at least having got to the battle in a space ship. Where the Fall of Reach is concerned, the allied forces of the Covenant had a massive armada of ships and the humans had a few too, with perhaps the Pillar of Autumn being the most famous. Three UNSC ships, the destroyer Heracles and the frigates Arabia and the Vostok, were sent to investigate the destruction of the Harvest colony by Covenant forces. Only the Heracles survived the subsequent encounter with the Covenent and made it back to the planet Reach. 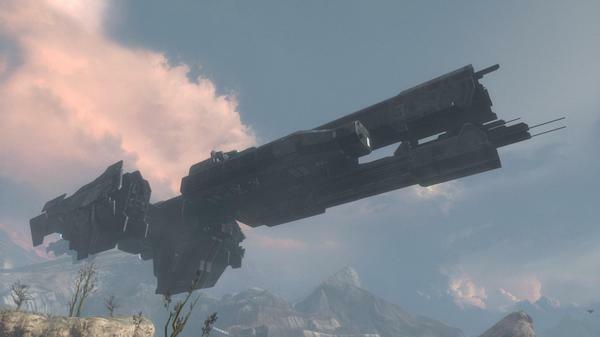 During the battle of Reach most of the UNSC space ships in the area were destroyed. Some confirmed KIA, others MIA. The Herodotus was a UNSC Destroyer that notably got carved up by an Energy Projector. The projector is a laser that the Covenant used to glass Reach and many other places including a bit of Earth in the game Halo 3 to prevent the spread of the Flood. Other vessels to fall to the Covenant included the Musashi, the Minotaur and the Tharsis. The Frigate Euphrates also was KIA and the Applebee and the Lark also got pwned. 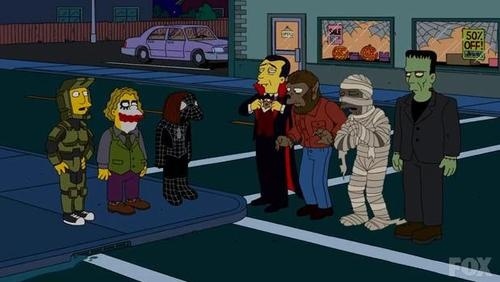 They all might rate a mention in the game. 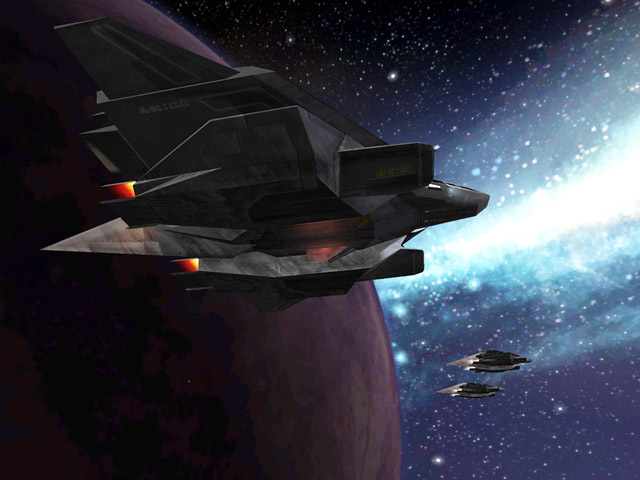 During Reach, a Longsword was used by Lieutenant Keyes destroyed a Covenant Supercruiser. The Longsword delivered a Nuclear Warhead to the ship - it was was an unmanned sortie flight controlled by remote piloting. During the Fall of Reach, Keyes is in command of the ship Iroquois, in which he showed gallantry in destroying 4 Covenant vessels. This is perhaps ironic given Keyes was unwittingly responsible for the Covenant finding Reach as the Iroquois was tagged by a Covenant Spy Probe which gave them the planet's positioning. Given this ship had a fairly prominent role in the space battle over Reach, it is possible that Iroquois will be mentioned in the Halo: Reach xbox game - it all depends on the timing of the ground mission of the Spartans as it's understood the game is focussed largely on the ground. 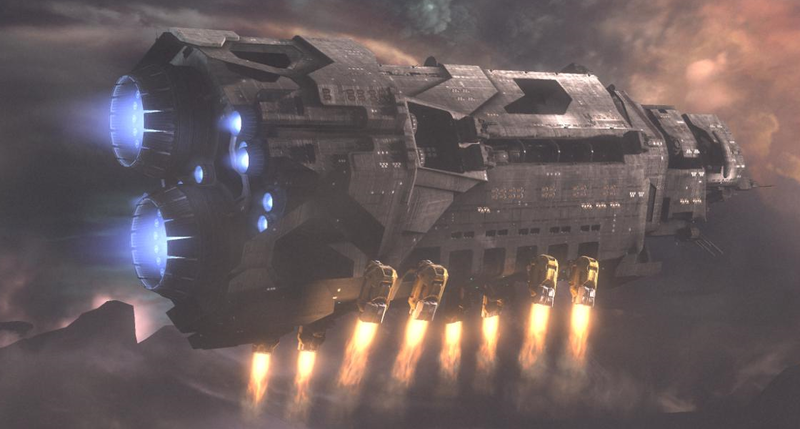 Given the sad fact that the Pillar of Autumn is the only known UNSC space ship to have survived the reach episode, and all other being presumed to have been destroyed (stated in Halo: CE, I think?) the fate of the Iroquois is that it is presumed to have been destroyed as well. So the Pillar of Autumn is probably the only space ship that we can pretty much guarantee will be in the Halo: Reach game as it was the ship that found the Halo installation after Keyes followed the Cole Protocol and its the ship the the Master Chief eventually ended up on. In the original Halo: CE, you start and end the game in the space ship - so it must surely be going to feature! 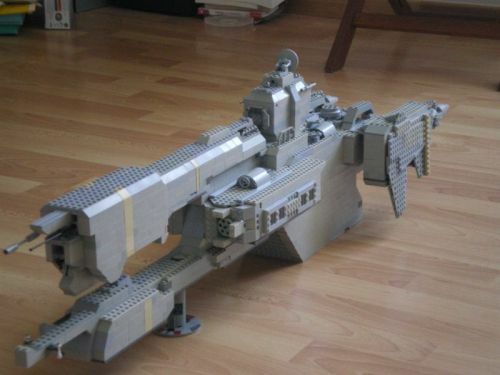 One keen Halo fan has made a Lego version of the Aegis Fate which although having a larger role in the time frame of the Halo 3 game, during Reach it was on duty protecting Earth. Who is Catherine Halsey? Is she the Master Chief's Mother? Well, given what happened to the Master Chief, she may as well be his mother! Within the Halo universe, Dr. Catherine Elizabeth Halsey is a civilian scientist in the United Nations Space Command. She appears in the novels Halo: The Fall of Reach, Halo: First Strike, and Halo: Ghosts of Onyx. In the novels' fiction, a flash clone of her brain tissue is the basis for the construction of the "Artificial Intelligence Cortana. As the creator of the SPARTAN-II Project, she approved the plan for the kidnapping of children who were trained as Spartans. She is viewed by the SPARTAN-IIs as a "mother" figure, and addresses each soldier by their name rather than designation. Catherine Halsey justifies her actions through her belief that the suffering of a few is acceptable for the benefit of many (kind of like a Star Trek "needs of the many, out weigh the needs of the few" argument). Being closest to the Spartans (hence the 'mother' status), it was Halsey who amongst the first to recognise the talents of Spartan 117. "This boy could be more useful to the UNSC than a fleet of Destroyers, a thousand Junior Grade Lieutenants -- or even me. In the end, the child may be the only thing that makes any difference." Catherine Halsey speaking to Lt. Jr. Grade Keyes, in Elysium City where the Master Chief was raised, on the planet Eridanus II. Where was Doctor Halsey during the Fall of Reach? In 2552, when the Covenant made their attack planet reach, Dr. Halsey was working in ONI's CASTLE Base. She volunteered to remain behind to ensure that all UNSC technology was secured from possible capture. She initiated Operation: WHITE GLOVE, destroying several Artificial Intelligences (including Cortana's "older sister" Kalmiya) to keep the Covenant at bay from accessing the UNSC's databases. With an expectation that the Covenant would glass the planet of Reach and knowledge that even if they didn't, she would be facing an entire army of Covenant ground forces, her actions where done in the knowledge she would certainly face death. During the next five days, after escaping into a series of mine shafts, the Spartans and Dr Halsey searched the mines, looking for either an exit or for what Dr. Halsey would dub "the most important discoverery of the millennium". On the fifth day, Spartan Fred found an entrance way into a large Forerunner structure, and within, the Forerunner Crystal. With this interference the crystal sent a spike of neutrino radiation, attracting the attention of the attacking Covenant. 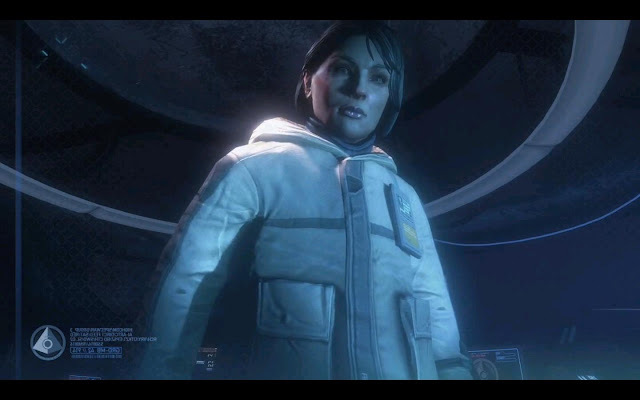 Following a Covenant attack, Doctor Halsey and her Spartans retreated into a hallway and sealed off the entrance, losing contact with Isaac and Vinh in the process. However, they quickly discovered that the hallway was a dead end. 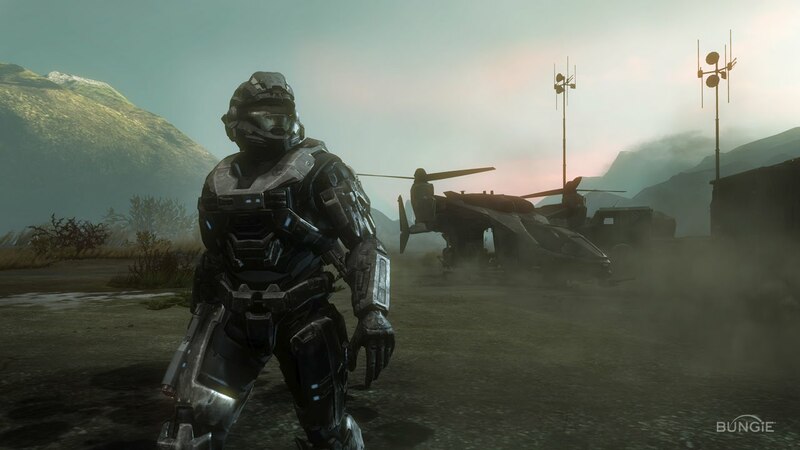 Days later, a group of Spartans, including John-117, rescued Dr. Halsey and the remaining Spartans and evacuated them from Reach to the captured Ascendant Justice. Dr. Halsey later recognized the importance of destroying the Forerunner artifact after it caused a Slipspace anomaly that nearly resulted in the destruction of the Ascendant Justice. After escaping Reach, the group fled to the asteroid belt that the Spartan's first mission had been in. While there, she stole the rebel governor's spacecraft and, along with Spartan Kelly-087, whom she had sedated, escaped into Slipspace. When asked by Admiral Whitcomb as to the reasons for her actions, Dr Halsey gave a simple UNSC code 'Three-Nine-Two' - which meant that she was on a high priority mission. She entrusted the Forerunner Crystal to Corporal Locklear, telling him to keep it safe, hidden, and to do whatever it took to keep it from falling into enemy hands, otherwise the Covenant would be able to go a hundred times faster in Slipspace. The Corporal actually chose to destroy the crystal and died as a result of the resulting explosion. In the aftermath of the battle, Halsey was presumed dead by the Office of Naval Intelligence and honoured, with other personnel, on a plaque at ONI Alpha Site. It can be assumed the SPARTANS and Johnson neglected to report her retrieval from CASTLE Base then her following kidnap of Kelly and apparent desertion from the UNSC. Another possibility is that her name was added to the wall after the Battle of Reach but before the Spartans returned to Earth. The story continued - get the books if you want the full story - who know's though, Dr Catherine Halsey may turn up in Halo: Reach! Halo Wikia and Wikipedia with some edits from myself. Why is the Planet Reach so important to the Halo story line? Note this is from Halo 2, not game footage from Reach itself. In the Halo universe, the planet Reach is the most important of all the human colonies. Set in the Epsilon Eridani system, it is the central home of the United Nations Space Command Fleet Command Headquarters which calls the shots on all things space combat. Reach is also the home of single largest spaceship manufacturer, making it the bastion of military power for human kind. The planet is where UNSC soldiers are trained. Reach is also where the secretive Spartan training program was conducted which lead to creation of our hero Spartan, John 117 aka Master Chief. 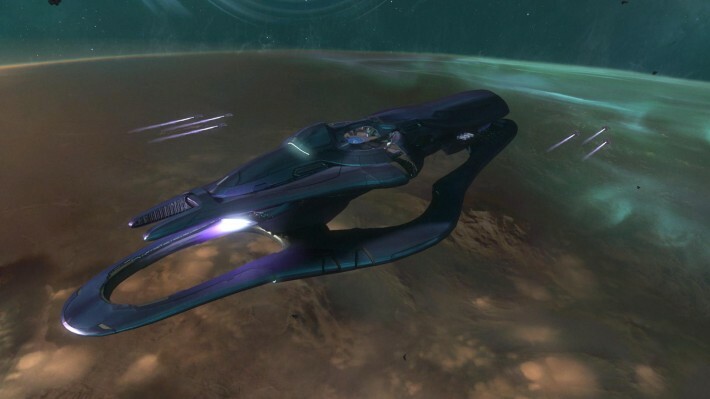 The Covenant was able to determine the position of Reach after the Iroquois ship captained by Keyes headed to back to Reach following a battle with Covenant forces. Reach finally falls after being kept a secret for so long when an invasion force of 300 Covenant attacks and deploys its armies. The force is simply overwhelming, and Reach quickly is destroyed. Click here for a more full synopsis of the Fall of Reach which was written by Eric Nylund.